The London course designer had put a new, tough run-up into the course and by the time the late afternoon elite event began the ground was properly churned, lumpy and boggy wet. This climb was my nemesis. Being a team event us girls were mixed in with the very top UK male riders – with at least two former British elite champions in Jody Crawforth and Paul Oldham – and the race start was lightening fast. I was soon right at the back of the field, trundling along and trying to remind myself to enjoy the burning pain in my calves as I shouldered my bike once more up the wicked climb (see photo above). The crowd, the weather and the general party ambience made the whole race day experience great fun - I even had my family there in support so we made a day of it, making sure to stay on and enjoy the crazy fancy dress, ‘Wall of Foam’ and tequila short-cuts of the fun race. If I hadn’t been racing the next day I would have really liked to have taken part! Above: An unusual sight in the Rapha Super Cross fun race was Europcar pro Dan Craven, who lives in London and is an ex-Rapha-Condor team rider. 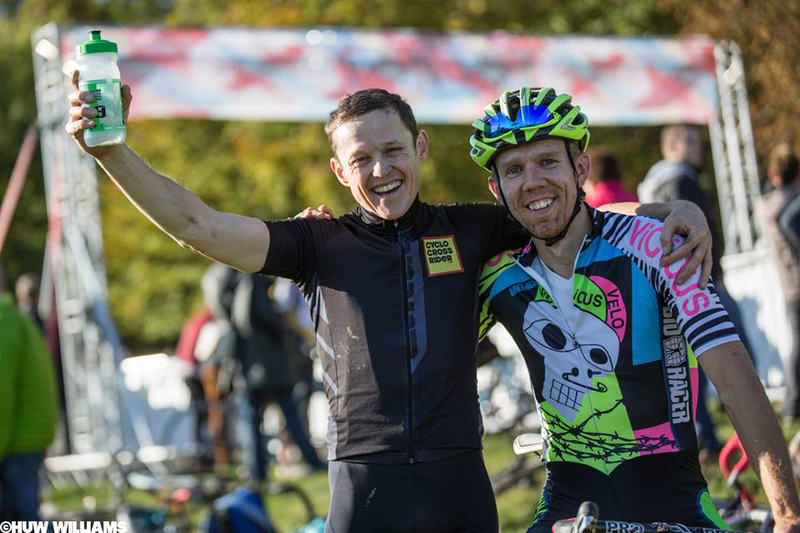 Below: Ben Lewis (left) of Cyclocrossrider won the senior open race at Ally Pally. Well done, Ben! The next morning (thanks to the clocks changing) did not feel too early but even so I was feeling very tired and like I was coming down with flu. Right up until I got on my bike to scout the course in Southampton I thought I might not even race, but once I was up and riding about the fresh air cleared my head and I started to feel excited to race again. Whilst warming up, the elite men were also checking out the course and as I skipped over the barriers one of the visiting Belgian Telenet-Fidea guys came flying past so smoothly, gliding straight over the barriers that I (and many of the guys around me) groaned in dismay. Fortunately the young Belgian star wouldn’t be in my race, but British international Hannah Payton who has been based in Belgium this winter would be, so I was interested to see how the domestic field would measure up against her. Southampton’s course was well suited to me and fortunately had no running. I’m not sure I could have mentally brought myself to face another run-up with Ally Pally so fresh in my calves! I had a great time swooping around the course and was maintaining a respectable mid-field position until an unfortunate touching of wheels caused me to fall, loosing ground and using up vital energy. Despite being action packed and very tiring this weekend was a great experience and has taken my experience of elite level racing to new heights. Coming up I’ve now got a couple of weekends of relative peace in which to focus on getting some steady training in and improve some of my weaker skills. I’ll see you in Durham at round three of the Trophy Series! Alice's previous column is here. 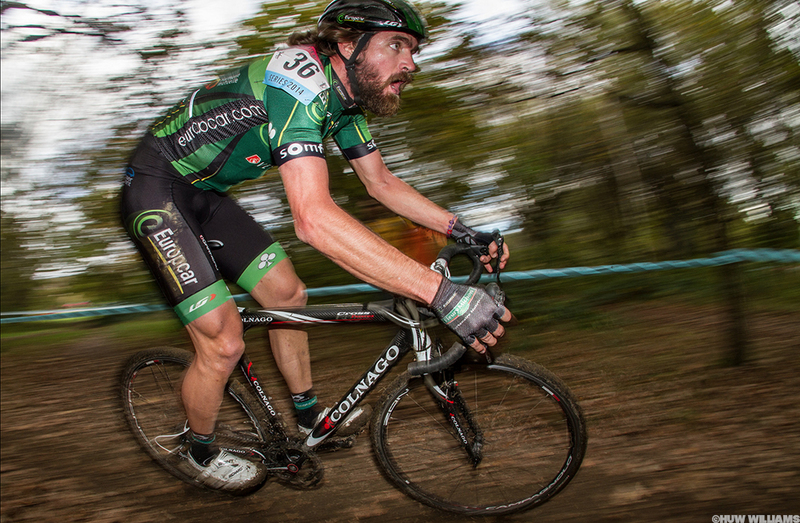 photos: Many thanks to ©Huw Williams for some great images.